Now I'm using Ubuntu12.04.04 LTS. 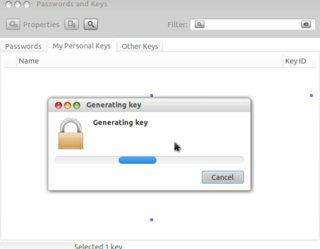 I tried to create my gpg key with following steps on "Passwords and Keys" program. I don't know why this error was occurred. According to I skipped some steps. ~/.gnupg/*.gpg files had read-only permissions. Before I use this operation, I created a gpg key by using following commands. After that, I logged in regular user. Thus, I hadn't the permissions to write ~/.gnupg/*.gpg (it's owner is root) files. The solution: I modified it's permission by using following commands so that I created gpg key successfully. Not the answer you're looking for? 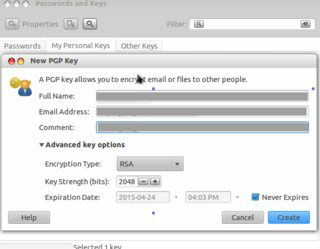 Browse other questions tagged gnupg keyrings openpgp or ask your own question. 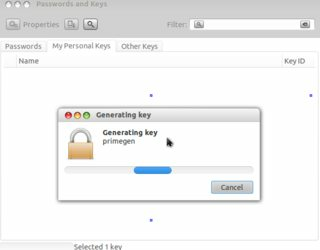 How to share one pgp-key on multiple machines? 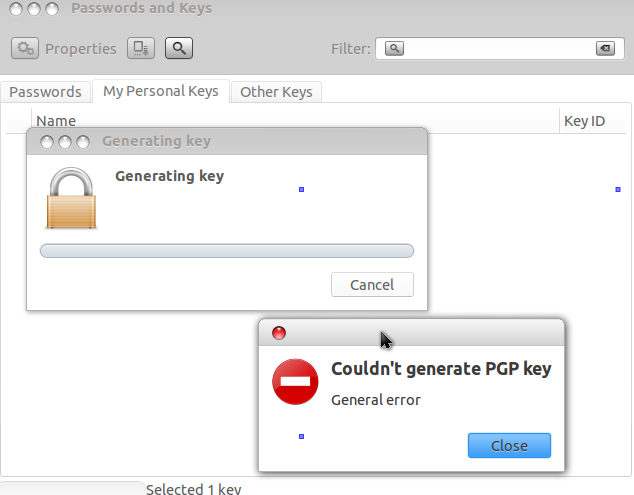 How to solve gpg: invalid option “--full-generate-key”?